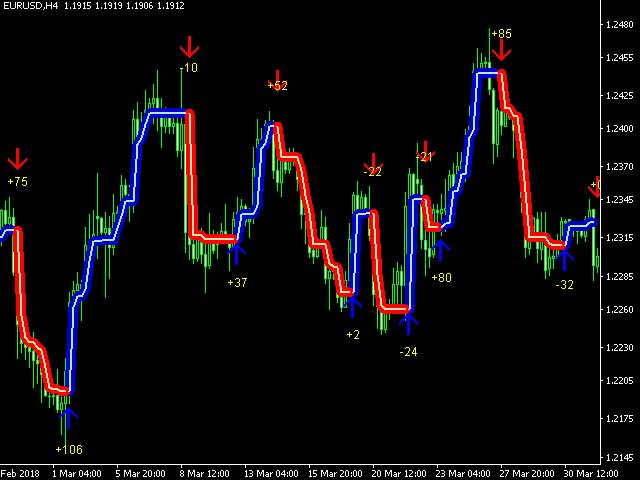 ForexGumpUltra is a new and more advanced indicator of the ForexGump series. This indicator easily determines the price direction on any currency pair and any timeframe. The indicator draws its signals on the zero bar and does not redraw them (see the video). In the 34th second of the video it can be seen that this indicator uses new filters to determine the changes in price movement direction without delay, despite the market noise present at the moment (see the video on the 34th second). Once the indicator determines the further direction of the price, it generates a signal in the form of an arrow. Blue arrow - buy signal. Red arrow - sell signal. Further direction of the price is highlighted by the indicator with a certain color, red or blue. After an arrow appears on the chart, the indicator starts demonstrating the potential profit or loss in points. This information is not final, as it can not take into account the speed at which the trader closes the order and the commission charged by the broker. However, with these figures, it will be easier for the trader to determine the efficiency of the indicator and to select the correct parameters. In general, this system is good both for novice traders, since it is a practically complete trading system, except for the money management, and for experienced traders with an established trading system they would like to reinforce or improve further for achieving even better results. To avoid the numerous technical nuances and terms, let us briefly but clearly explain the basic systematics of this indicator. As ForexGumpUltra is almost a complete trading system already, which only needs to be supplemented with a money management feature, it can be said that this indicator is a complex of programs and subprograms for global statistical study of the market. That is, it tries to do almost all the work on analyzing and studying the market instead of the trader and to provide ready-to-use buy or sell signals as recommendations. 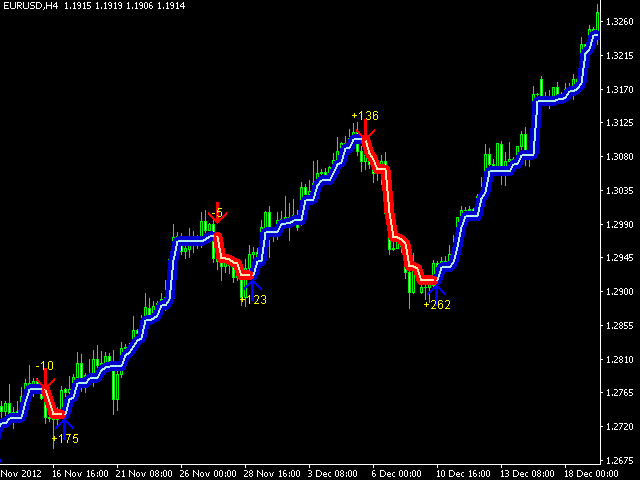 ForexGumpUltra analyzes the market by 34 parameters. These include the market volume, the statistically average direction, combinations of candlestick patterns, as well as a number of additional signals used for in-depth analysis of the market. The effectiveness of this system can be seen in the video below. No need to analyze the market using dozens of indicators After all, it takes a lot of time and effort to learn to interpret at least one indicator. No need to stay in front of computer in anticipation of a new signal. The indicator provides email and push notification features. This indicator has buffers and can be integrated into any Expert Advisor. Our programmers will help you with this. 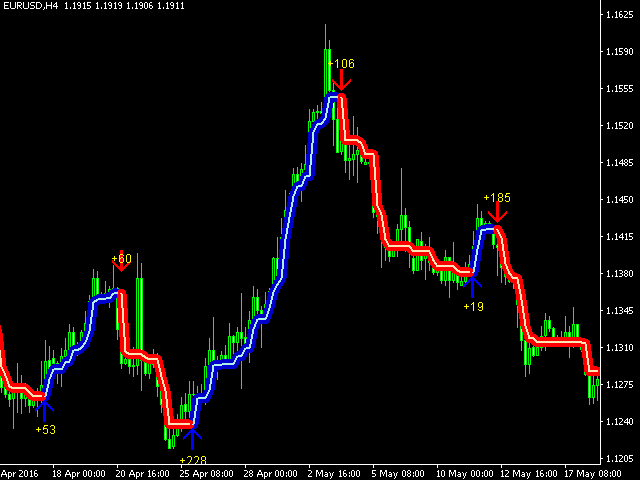 The indicator works on all currency pairs and all timeframes. 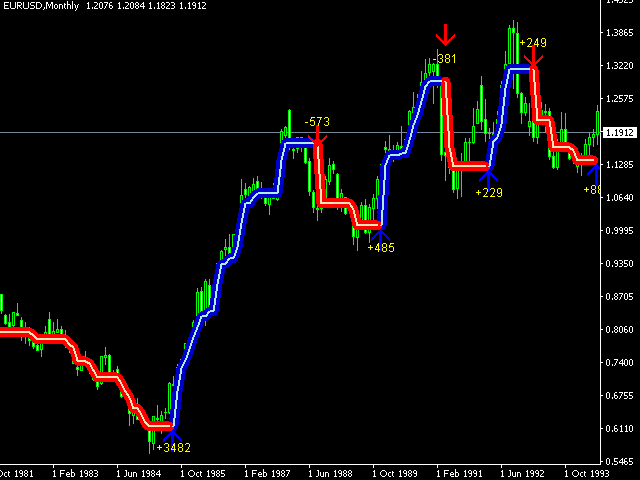 The indicator draws its signals at Close and does not redraw them (see the video). fast_average_period - fast MA period. slow_average_period - slow MA period. signal_line_period - signal MA period. shift_of_the_averaging_line - shift of the indicator calculation relative to the zero bar. Index_calculation_period - period for calculating the price direction index. upper_bound - the upper bound of the price range for calculating the trend direction. bottom_bound - the lower bound of the price range for calculating the trend direction. bars - the number of bars to display the indicator. The maximum value is 5000. The minimum value is 200.
inform - display the information panel on the screen. Color - color of the information panel. thickness_of_thick_line - width of the thick line. thin_line_thickness - width of the thin line. Signal - send signals as email and push notifications. 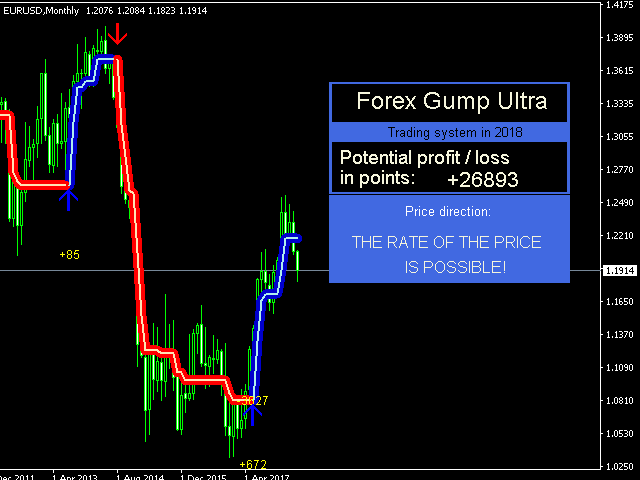 Ive been using Forex Gump Pro, and Forex Gump Ultra for several weeks on my real account. I am very impressed with the results, it has definitely raised my level of trading, allowing me to trade with more money, with more confidence. This is the best set of indicator's I have used, they working great for me on all time frames... they give me a clear and simple view of the market. Corrected the algorithm for determining the price reversal. In the new version, it has become more accurate and sensitive. In version 3, we added new smoothing filters for the price amplitude. This makes it possible to filter out false and increase the quantity and quality of signals. 1. Construa um novo algoritmo para suavização.